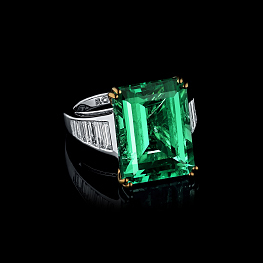 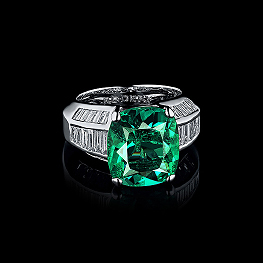 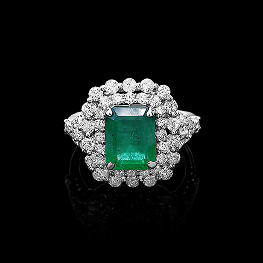 The contrast of a form and color is a the main beauty secret of this cocktail emerald ring. 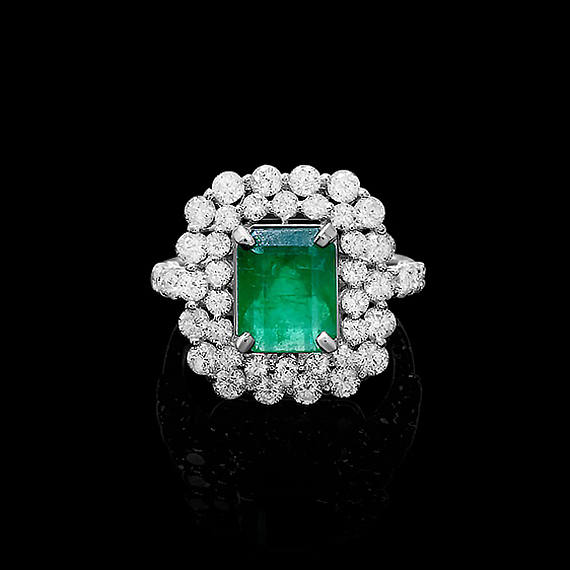 The main stone is strict and rhythmic whereas the diamonds frame looks aerial and slight. 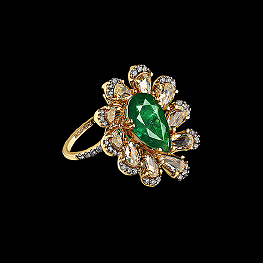 Through that manner a massive jewelry piece seems tidy – only high quality goldsmiths are able to done such a delicate work.